Washington : Too much of a good thing may not always be better for your health. 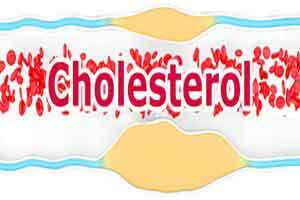 Researchers have shown that high levels of high-density lipoprotein (HDL) cholesterol commonly touted as “good cholesterol” for helping to reduce the risk of stroke and heart attack may increase a person’s risk of premature death as much as its low levels. “The findings surprised us,” said the study’s senior author Ziyad Al-Aly, Assistant Professor at Washington University School of Medicine in St. Louis, Missouri. “Previously it was thought that raised levels of the good cholesterol were beneficial. The relationship between increased levels of HDL cholesterol and early death is unexpected,” Al-Aly said. Cholesterol is a fatty substance found in the blood that can narrow and block heart vessels, causing cardiovascular disease and stroke. For years, HDL cholesterol has been credited with helping to remove plaque-building “bad cholesterol” from arteries. “Too low and too high are both associated with higher risk of death,” Al-Aly said.